Please whilst you compile these violations make certain that you fill in the REAL NAMES hidden under the ENTITY NAMES and they are. These umbrellas do not identify the harm until you put up faces for the world to see. Search all the way back to the inception of the ‘ORDERS’ and by ‘WHOM’. Take pictures of their faces and their family’s connection to the LAND if any. Connect up the dots to what, when, who, why, and how, ie deeds, settlements, laws, contracts, sales, purchases etc. All are done on the fee simple title only and cannot be carrired out on the native title. Organise with all Natives to place all native lands into permanant occupation to the natives who own them by blood. Traspass all foreigners off the Native Title forever. To back up the call from our dear wantok here – this is absolutely critical with every single violation, as much as possible. 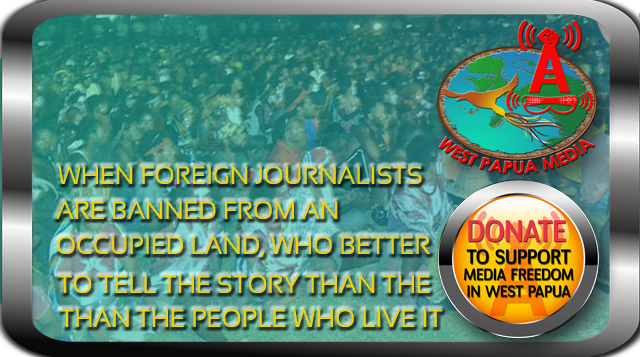 West Papua Media is continuing to develop a methodology for the effective investigation of such abuses, see our Safe Witness Broadcasting Tips for an idea (at top of page). There are difficulties in some violations, in that sometimes (often) the only witnesses are survivors who have been so deeply traumatised that they cannot effectively identify the perpetrators. However, with good investigations, this can be done. Often, Komnas HAM – as the official government “human rights commission” – fails to ask those questions, or when the local investigators do ask those questions, the higher-ups refuse to see what the whole story is. It is unfortunately a question of resources and training for people on the ground. If you want to see a higher quality of investigation, then help us raise funding so we can support those folks on the ground. We are always ready if the money is there.